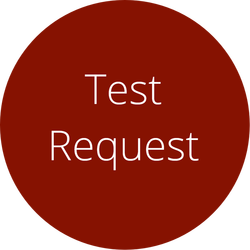 Test request modules of the TestValet suite help requesting engineers to initiate new test requests. Various test types performed in the test facility are configured as test templates. Test templates aggregate various requesting modules to create valid test request. The requestor is guided through the various modules to create a valid request. The system validates each request before they are allowed to be submitted and intuitively indicates to the users if mandatory fields in modules are not filled out. The Test Request module defines the needs of each new test in ways that are understandable and often informative to both the engineer who is responsible for testing and the client who has a test need. This module ties the test activity directly back to the product definition and product requirements. In many instances, engineers can submit a Test Request without specific interaction with the test organization due to the comprehensive nature of the Test Request screens, but the creation of the request sets the dialogue of understanding with the test organization. Creation of the test request allows for metrics creation and prepares information for subsequent actions such as calibration, scheduling, or configuration management. It starts the long string of action and data traceability, enabling the enforcement of process and workflow needs of the test organization. Many of these follow-on workflow activities are automated, thereby freeing up time for the test engineer and eliminating manual effort. The benefits of a Test Request system are many. They include clarity of task at hand for all parties, a clear objective for the test being performed, a complete test with no missing answers, the built in ability to reuse past test requests to shorten the timeline and reuse past work, and the potential to fine tune the actual testing to only the steps that need to be done and eliminate wasteful testing that isn't required. In addition, the Test Request system initiates the work flow and the documentation process which is meaningful to both regulated and non-regulated industries with litigation concerns. Test Request sets the stage for organizational digitalization of all appropriate data and documentation and the process steps and the capture of important performance metrics for the continuous improvement of the test organization.